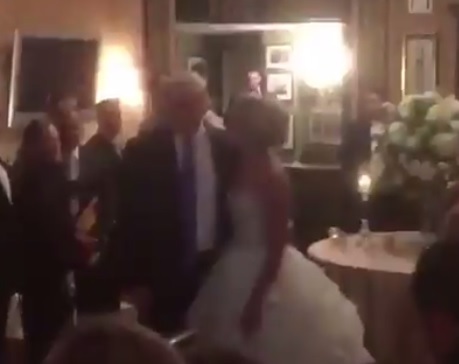 VIDEO: POTUS TRUMP Makes Surprise Appearance at Wedding Reception, Crowd Starts Chanting, "USA! USA!" President Donald Trump made a surprise visit at a wedding reception last night at a golf club in Bedminster, New Jersey.